DID you participated in the just concluded JAMB CBT 2019 Examination? The truth is that some schools are always changing their cut off marks for admission every year. But we’re certain, that this is the official POST UTME Cut off Marks for the 2019 academic session. Please do help us share this information with your friends on Facebook, Twitter, and Google+, using the share buttons below. If the Nekedepoly 2018 cut off mark is below 170, you are automatically qualified for their post UTME screening. register it at eleweomo police station. Thanks for the direction Abel. Some one told that results of post utme is out but I have no information about my child’s result. please tell me if the results is out or not am worried. Which school did your child sat for his POST UTME examination? Had other of his/her fellow students gotten their result. plz is change of course and institutions going on? No, the change of institution and course form for 2016 has officially been shut down. Will be reopened for 2017 candidates. Hope this won’t affect your admissio Papiclef? Hello Onwuka, Which school POST UTME form are you asking for? Most schools post utme forms are already out and some have even written their POST UTME screening examination. Pls ma I don’t really know lasu cut off mark majority Said it is 180 only few said it is 200. Hello Oduolowu, this depends on two major factors. 2. Numbers of students applying for admission in your faculty. If your course is in Medicine, Engineering, there are higher tendencies that your cut off marks starts from 200 and above. But 180 is the minimum cut off marks for admission into Lasu. When is auchipoly jamb post utme form be out. Auchi Poly is one of the most sought after Polytechnics in Nigeria, with thousands of candidates making it their preferred institution, the school tends to go for students with higher scores in JAMB. However, for Business Administration, the cut off marks starts from 150. But this totally depends on the numbers of candidates who applied for admission into this department, and this particular department carrying ability. The school may decides anytime to high the bar. Pls I want to know wen Rufus giwa polytechnic form will b out and wre to purchase it am an accounting department and I need accounting cut_off mark for Rufus giwa polytechnic owo. Hello Shalom, Yes, but this depends on the school you’re applying for. pls I scored 178 in my jamb and i choose Benue state university and accoutaincy/accounting as my course, will i get admission there? and again when is there screening form will be out for sale? And how can I check to know either they have give me admission? The Benue State University official cut off marks is 180. I don’t think they have any allowance for students who scored 178 in JAMB. But you can still be admitted. WHY not go after the polytechnic you choosed as your preferred institution? is it true that no more POST UTME exam again? Yes, but we’re still watching and waiting for the 2017 JAMB examination, then we’ll know the regulation placed by Nigerian institutions for admission into their schools. 😀 fingers crossed. When will nsuk start selling there postutme form nd what is the cutoff marks sir? For the 2017 session? 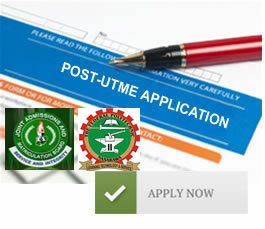 You can get all information about the UNN post utme form Here https://www.dailyschoolnews.com.ng//unn-post-utme/. Surely. 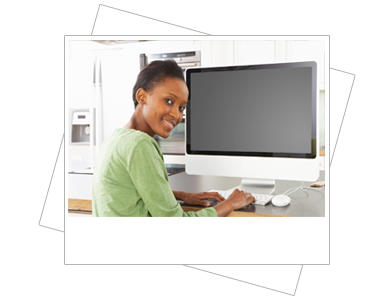 But your JAMB scores and POST UTME scores will surely play a vital role in your admission. The official cut off marks which is submitted by the school management to JAMB is 150. However, the school have the power to go for students with higher jamb scores. For example, if the school has the capacity of admitting 1,000 students per year, and more than 5,000 students applied, they’ll filter these students from higher jamb scores. I scored 182 in jamb an i want to study nursing in UNICAL. But people are telling me dat it won’t work out for me is it true? How are you? Hope you’re doing marvelously fine? 😀 Well, when it comes to cut off marks, you should know that there are certain courses that are way higher, when compared with others. The cut off marks for admission into the University of Calabar, for courses like Engineering, is way different and lower for courses like Medicine. When going for courses in Medicine, you need higher scores to be admitted. However, we wish you the best of lucks. Which institution refused to give you admission? Did you go for a University or Polytechnic? Did you score up to your school cut off Marks? These are some of the major reasons why you may fail to be admitted into your chosen institution. The 2017 JAMB form will soon be on sale, please you can get the form and hopefully, you’ll be admitted. They will be writing their post UTME after the school has officially finalized everything, pertaining to admitting students into the institution. We will be sharing more details here on this page.